That’s really good! 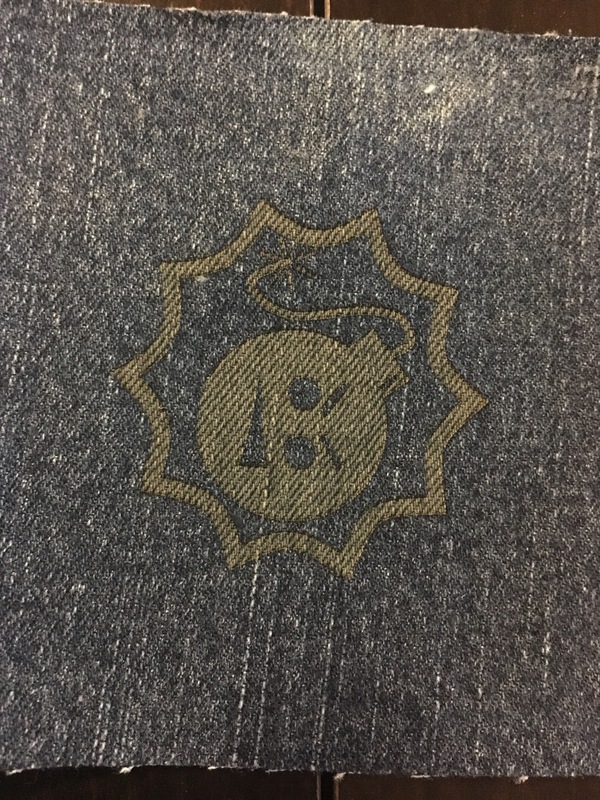 I read the printer could engrave fabric, but confess I didn’t expect Denim to be suitable. I know you can laser engrave polyester with some machines as well, though you should do some research before attempting this. It would be interesting to know if it can engrave other materials, such as rubber or cork. Yeah there are a lot of materials I’d like to try but I need to build my enclosure first. Especially before I start experimenting with rubber and plastic. I hear you - all three modules create their own odours, depending on their use, so an enclosure is necessary. Never put rubber under a laser cutter, unless you take burning rubber literally. Cork is very suitable for engraving only. We did a few christmas ornaments in cork recently. How does this affect the strength of the material? I had good luck marking my Otterbox iPhone case though.